The second biggest haunted house show of the year kicks off this weekend in Columbus Ohio complete with haunted house tours, seminars, events and much more. The MHC features a tradeshow floor and even events such as Monster Make Up Wars, Art Fashion Show, Scariest Character Contest, and a Miss Scary Midwest Pageant. The show will end on Sunday May 31st and feature events including show floor demos, Raffles and even a Kid's costume contest. 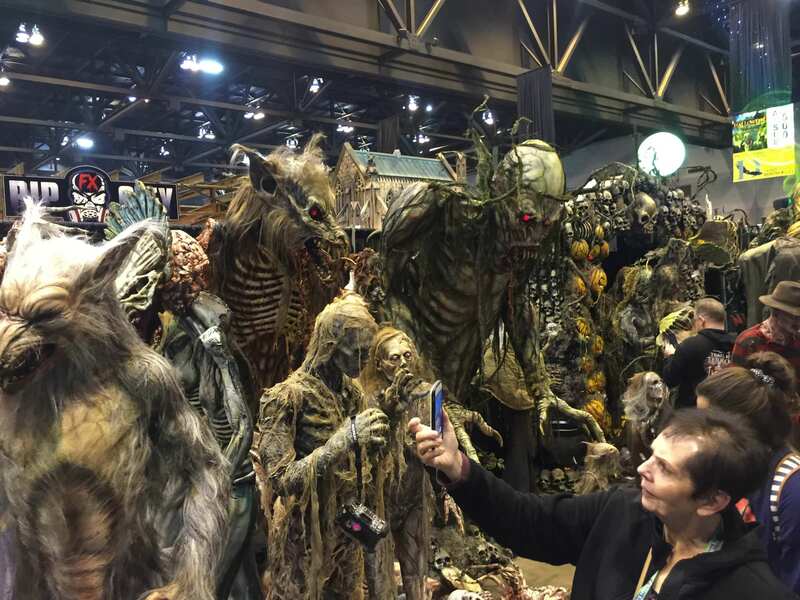 The tradeshow floor features many of the best vendors in the business such as Ghost Ride Productions, Fright Props to Distortions however the booths are much smaller than Transworld. 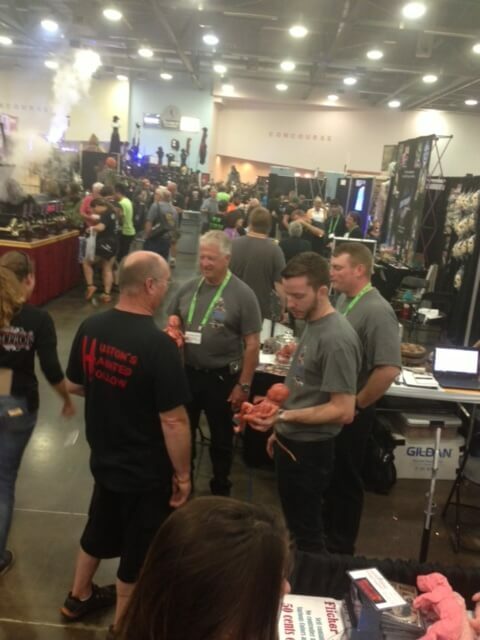 Hauntworld Magazine is also a featured exhibitor so get over to Midwest Haunters Convention you still have time! One of the great things about MHC is this is the show for every home haunter to even a professional haunted house. 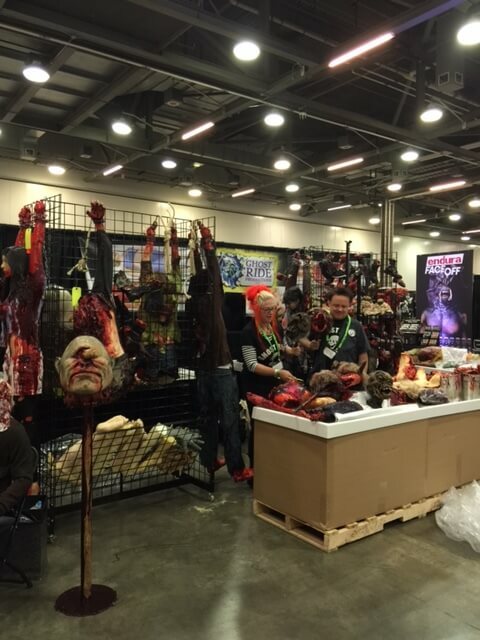 The tradeshow floor will offer everything from body painting to cool do it yourself haunted house props. PHOTOS LIVE FROM THE SHOW TODAY! Last month (March 2015) The Darkness once again opened for the ENTIRE haunted house industry during the Transworld 2015 Halloween and Haunted House Tradeshow. The Darkness amazed haunted house owners with attention to detail, custom animations, and much more. 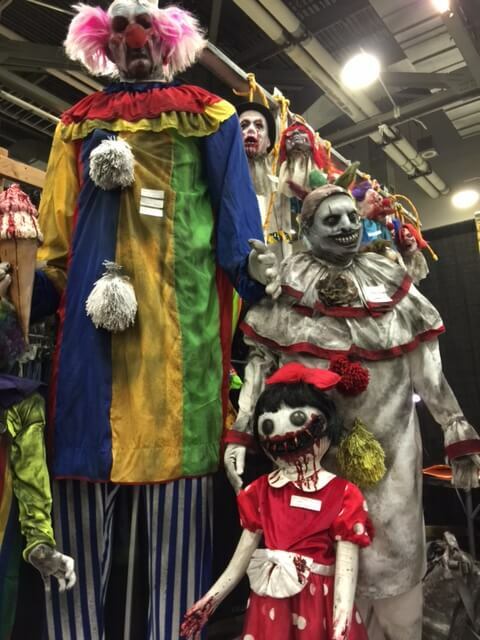 Over 1000 different haunted house owners and operators attended The Darkness 2015. 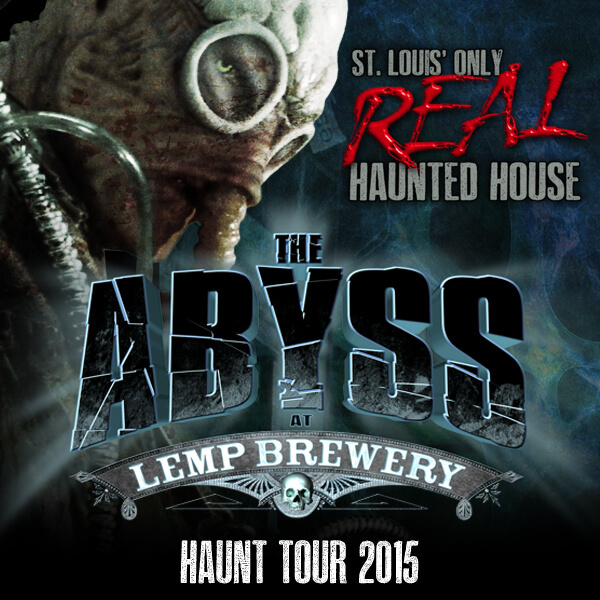 This year during the Transworld show several haunted houses opened from The Abyss at Lemp Brewery, The Darkness, pre-tours to Talon Falls and a haunted house located in Wright City Phobious. The Darkness is always the major haunted house tour simply because its located 2 miles from the convention center and because each year its TOTALLY renovated for the haunt industry. The Darkness tour included a behind the scenes tour with dinner, and even a live tour with scary actors. Gore Galore showed up with several oversized costumes and did a parade of the dead. The Darkness featured actors scaring people inside and outside. Watch the video below and SUBSCRIBE to the Hauntworld Youtube Channel! The biggest haunted house tour of the year is The Darkness Haunt Tour during the Transworld Halloween and Haunted House tradeshow. The Darkness will open for the haunted house tradeshow for the sixth year straight for the haunted house industry. Each year The Darkness is totally renovated to showcase cutting edge scenic design, special fx, and never before scene animations. Several of the biggest companies in the haunt industry are creating one of a kind props and animations for the tour such as Unit 70, Gore Galore and Ghost Ride Productions. Halloween Productions the WORLDS biggest supplier of complete haunted houses is desiging, rebuilding and theming The Darkness for this once a year event. This year The Darkneess will include several all-new scenes and several renovated or upgraded rooms. The Darkness features two floors of fright plus Terror Visions 3D and the Monster Museum. The Darkness will see several new scenes and upgrades on the first floor including one major new room called the 'Worm Cave'. HPI is doing more foam carving work to create a natural looking cave which contains man eating worms. Additionally the downstairs area will see major upgrades throughout the main floor including new spider room, new animations and more. Upstairs will see the biggest renovations including an attic room filled with new CGI FX and creatures crawling on the walls and ceiling. HPI is also building a haunted library which will feature SEVEN CGI FX, a never before attemped falling wall, and the most amazing detail work ever attempted inside The Darkness. Terror Visions will also feature a new scene replacing the old Magic room with a new Scary Puppet Show and much more. Additionally digital actor activated sound scares will be added throughout The Darkness to create more scares. The Darkness will also feature an entire cast of outdoor monsters, sliders and creatures to scare while you wait. The Darkness will host two events first on Thursday night with a special behind the scenes tour and Saturday with LIVE ACTORS! Check out the video from LAST YEARS TOUR and see what the industry thought of the Darkness tour. Get your tickes today because tickets are cheaper in January.